I first tried a sample of this perfume in a beauty box and it instantly reminded me of another perfume but I can't for the life of me think what it is. I don't have it in my current collection anyway. It smelt a lot more expensive than it was and I used my Birchbox points to buy the full size. 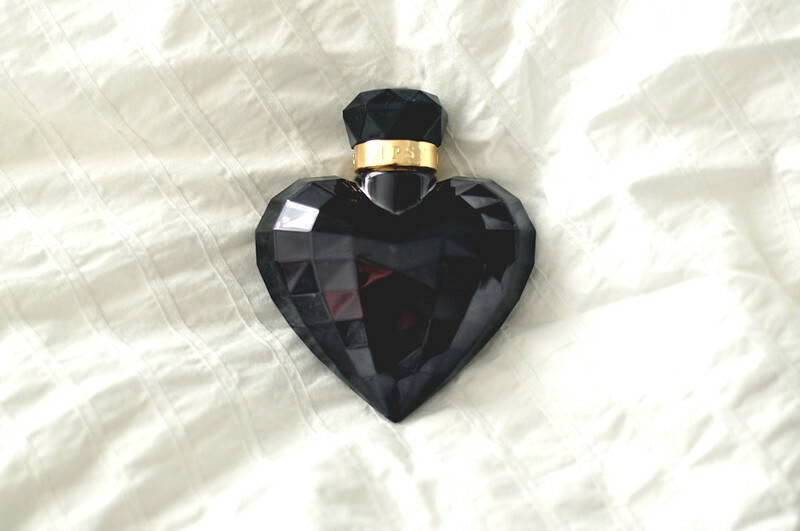 Glam has evolved from the previous fragrance Love, with it's updated heart shaped black-jewelled bottle. The packaging isn't my favourite and it isn't the best quality but for some perfumes, especially cheaper ones, I can look past this. It's a good one to keep in your bag for top ups as it's fairly small and light. I like the scent as soon as it's sprayed but it's the scent once it's dry that I really like. The notes are honey, orchid, jasmine, peony and amarylis and black incense. The jasmine and peony are the two strongest scents I can detect and they become more prominent as time goes on. Since it is quite a strong deep floral scent it's one I prefer to wear in the winter months. What's your current go to scent? I love the look of the packaging. And I'm definitely a floral scent kind of girl. I'll be sure to give this fragrance a whiff when I next go shopping. My current favourite scent is the Katy Perry Meow fragrance. It's a lovely blend of fruity and floral.